Do you find that trying to have a conversation with your teen is heavy going and that you miss the chatty child they used to be? Do they respond to your questions with sighs, eye rolls, and not uncommonly, a door slam? Although it might seem your adolescent has transformed from their younger talkative self almost overnight, this change in behavior is actually quite normal. Why do Teens Stop Talking? Instead of jumping in feet first and demanding, “Were there drugs at the party?” Consider asking: “How many kids were at the party?” Your teen is much more likely to talk if you don’t make them feel they’re under an interrogation. So, if you start with an innocuous question to get the conversation going, you’re more likely to get the answer to the question that you really want answered. It’s important to control any impulse to interrupt because once you do, they’re likely to shut down. Just let them talk and vent if they want. Your teen will be so appreciative when you allow them to express themselves and they know you’re concentrating on what they’re saying. Once you overreact and get angry or upset, they will clam up, because you’re giving them the impression that you can’t cope with what you hear. It’s quite possible you may get agitated at what you are being told but try to breathe deeply and present as calm a demeanor as possible so that they will continue to be open with you. Teenagers care how they come across to their parents. If your teen gets the slightest hint of disapproval – even from nonverbal cues – they are likely to call a halt to the conversation. It’s much better to wait until your adolescent has completely filled you in. If you are alarmed at what you have heard, give yourself a chance to calm down before talking to them about your concerns. Adolescents are very sensitive to what they perceive as a lack of interest and availability on the part of their parents. So, set aside some time in your busy schedule to be available so they have a chance to talk to you. When they’re in a room with you, consider turning off your computer or the TV so that you can give your full, undivided attention. Conversations just between the two of you, with no other audience present (like siblings), will be much appreciated because teens are both private and self-conscious. Respect their desire for privacy and choose a time to talk when the two of you can be alone. 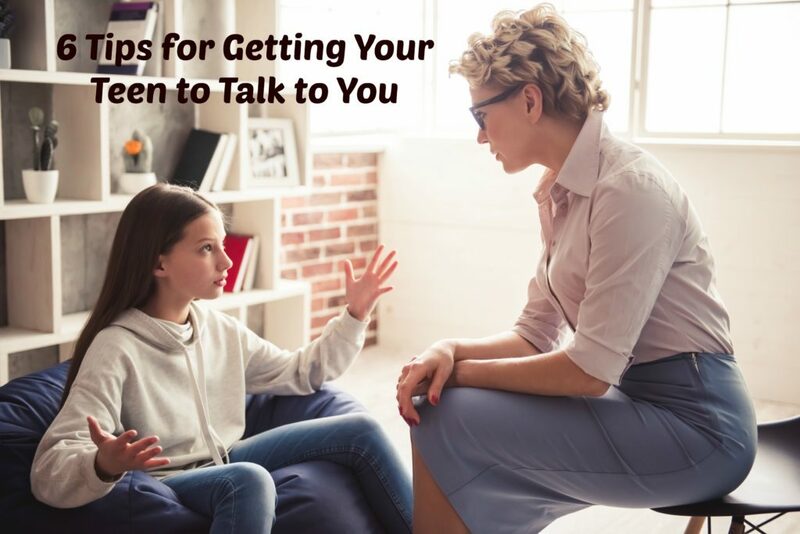 Why is Good Communication with My Teen Important? Parents should not underestimate the value of good communication with their teen. An adolescent who can communicate well with their parents is more likely to make good decisions, is less susceptible to pressure from peers, and will tend to have better self-esteem. It could be that, despite your best efforts, you still aren’t communicating very well with your teen. You might be wondering if this is because they have a serious problem that you’ve been unable to discover. The teenage years can involve a whole host of issues – underage drinking, drug abuse, eating disorders, depression, and cyber-bullying, to name just a few. Doorways is here to give you some help. Our counselors are trained to get adolescents to open up about their problems, so set up an initial, no-charge consultation with us. We can help improve communication between you and your teen.